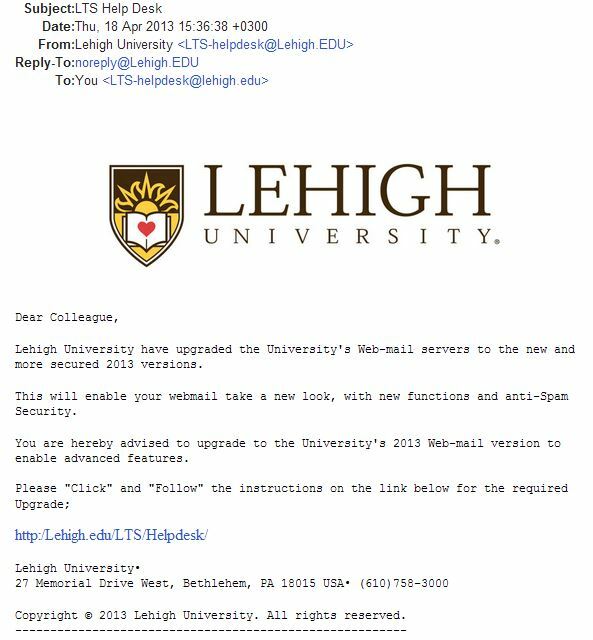 This email purports to be a notification from LTS about upgrades to the Lehigh web-mail servers. As a security precaution, Library and Technology Services no longer sends emails with links in them. If you get an email claiming to be from us, and directing you to follow a link, you may safely assume it is fraudulent, and should delete it immediately.